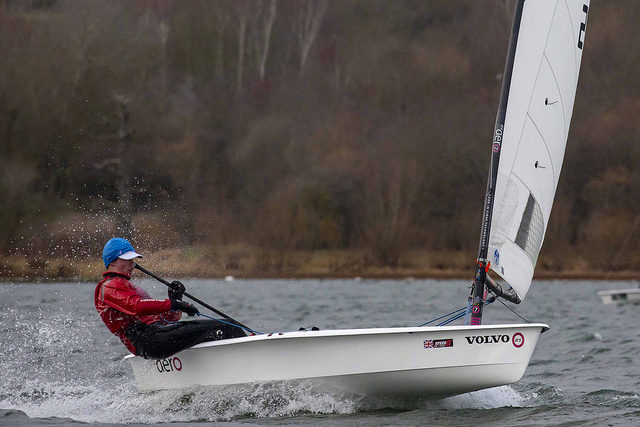 With over 90 boats entered, a decent forecast and a great host club we arrived at the 2019 Steve Nicholson Trophy at Northampton SC full of anticipation for a great day’s racing and it delivered that! 4 races were scheduled, 2 each with the double handers taking the 1st and 3rd starts and the single handers taking the 2nd and 4th starts due to space on the lake. 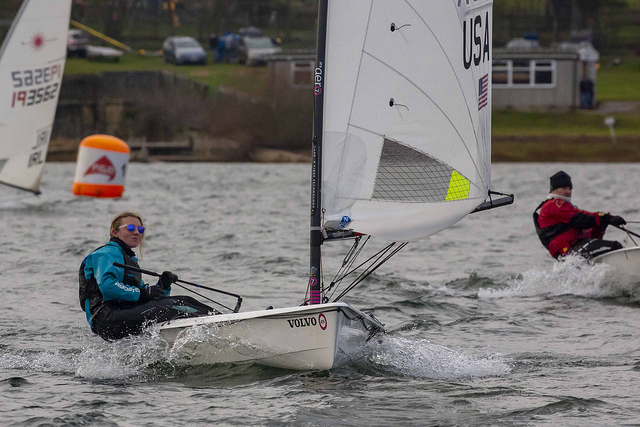 The briefing was short and sweet, and a trapezoid course set providing excellent racing at a variety of angles in the blustery but mild wind. After the first race of the double handers, it was time for the singles to pounce. 15 RS Aero’s had entered which being comfortably the largest fleet made for some good class racing within the main event too. As we crossed the start line a sniff of port bias as the wind headed gave the early advantage to Richard Pye (Draycote) who tacked to cross and enjoyed a largely clear leg as the faster classes took time to come through. Even with the raced shortened to 4 laps, we were all pretty exhausted after what had been quite an intense 1st race with so many mixed classes. Tim Hire (Royal Lym & Lym Town) had hung on to the faster boats sufficiently to take 2nd overall on corrected time in Race 1. Lunch was a cracking hog roast which most of the RS Aero sailors devoured to keep the energy up ready for another very gusty race! We headed out for our final race into an increased breeze, distinctly fresher but not quite frightening. The no nonsense race team hoisted the U flag again with disqualification at stake if you were over the line early we all kept some caution as this was a no discard event. BREEZE ON! As the gun went the RS Aero’s were hot on the line. Peter Barton (Lym Town) and Tim Hire popped out like corks from a bottle closely followed by Chris Larr (Northampton). Peter tacked and had to duck Tim, but with Peter near the layline and Tim pinned by another boat the early advantage passed to Peter. Over 4 laps the lead swapped several times between Tim and Peter with neither ever able to escape the other. Tim slid by on the final run to call ‘no room’ as they rounded. Holding low in a gust line was just enough for Peter to slip by again to leeward on the final broad reach before the short beat to the finish. Race 2 belonged to the RS Aero 7s with Peter taking the overall win on corrected time and Tim close behind for another 2nd. An enchanting fascination of large mixed class PY races is that until the corrected time results are published you really have little idea how you have faired in the main event. Tim and Peter knew it would be close between them but neither new where the lead RS Aeros might have finished overall. As the prize giving counted down the top ten the Class’ expectations soared as they came to announcing the podium with two RS Aeros still in the running! Congratulations to sixteen year old Tim Hire for taking the overall win, a huge achievement at one of the UK’s premier winter mass mixed class events. 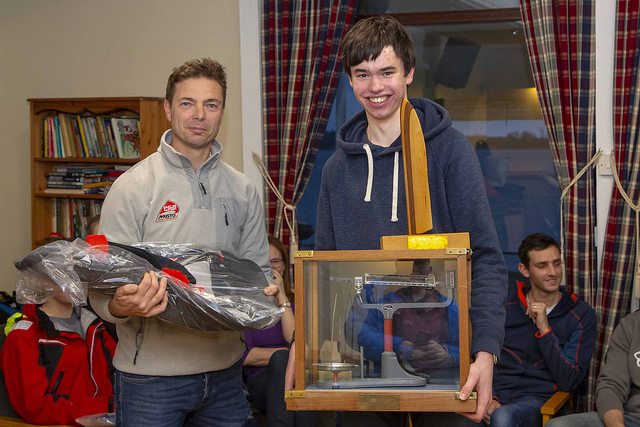 A clear testament to how a will to progress, dedication and enthusiasm, can thrive nurtured through the RS Aero Youth Winter Training programme alongside valuable experience gained attending events. In total 5 RS Aeros made the top 10 and behind Tim, Peter Barton claimed 3rd place and Chris Larr 5th. 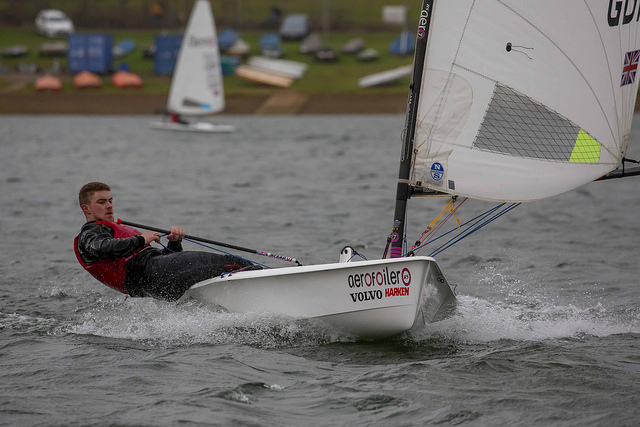 The 1st Lady in the single handed fleet was the charter RS Aero sailed by Laser Radial sailor, Ellie Craig. She loved the RS Aero and we hope to see her back again soon! We all were exhausted after a hard day’s racing but it was worth it - what a fantastic day! Single-hander fleet first windward mark and top reach from 07:15. Richard Pye leads the RS Aeros in 1020 with Tim Hire chasing in 2439. Steve Nicholson Trophy 2019 from Richard Sturt on Vimeo. Single handed fleet - 52 entries, Great Lakes PY scoring, 2 races, no discard.